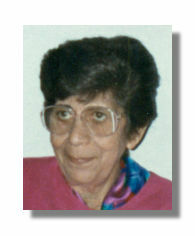 Mary G. Vela, age 89, of Galveston, Texas passed away on Saturday, January 5, 2019 peacefully in her home. She was born in Ft. Stockton, Texas on June 15, 1929, the 6th child of Macedonio & Cleofas Granado. She moved to Galveston in 1945 as a young lady where she met her husband Frank G. Vela. They were married for 53 years. Mary was a loving wife, mother, grandmother and great-grandmother. She retired with 35 years of employment with Woolworth/Woolco and Eibands to be a caregiver for her husband until his death. She was a faithful Catholic saying her prayers daily and nightly. She had a great passion for her garden and the light of her life “Shaunito” who brought a bright smile to her face. She is preceded in death by her sisters Ilda Stewart Gay and Dora Terrazas, brothers Fred, Carlos, Nino, and Joe Granado. She is survived by her children, Mary Jane Montemayor (James Goodson), Yolanda Vela, Frank G. Vela, Jr., Theresa Royal (Jack); grandchildren Edward G. Montemayor Jr., Amanda Marie Jones (David), Marcus Daniel Vela, Joseph Nicholas Vela, Christopher Anthony Vela (Christina); great-grandson Shaun Michael Jones; and sister-in-law Diana Perez. Visitation will be held on Wednesday, January 9, 2019 at J. Levy & Termini Funeral Home from 5:00 P.M. to 7:00 P.M., with a Rosary to begin at 6:30 P.M., with Thomas Ross Turner officiating. A Mass of Christian Burial will be he held on Thursday, January 10, 2019 at 10:00 A.M., at St. Patrick Catholic Church, with Father Jude Ezuma officiating. Interment will follow at Grace Memorial Park Cemetery in Hitchcock, Texas. Pallbearers will be Edward G. Montemayor Jr., David Jones Jr., Marcus Vela, Christopher Vela, Peter Stewart and Chris Stewart. Honorary pallbearers will be Joe Rodriguez, John Rodriguez and Robert Rodriguez. The family would like to acknowledge the many years of love and support of Mary Litton, Janie Rodriguez, Sofia Rodriguez, Tina Flores, Melinda Bullock and Betty Jane Stewart. The family would also like to give a special heartfelt thanks to Dr. Michael Boyars for his loving care and friendship. Donations may be made in her honor to the Shrine of St. Jude, St. Patrick Church of Holy Family Parish, or the charity of one’s choice. Rosary to begin at 6:30 P.M.
Interment will follow at Grace Memorial Park Cemetery in Hitchcock, Texas.